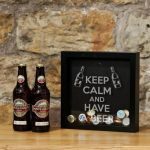 If you’re looking for beer lovers’ Christmas gift suggestions, here are a few things that I’ve either bought, received or dropped hints for. Whether you want to spend a tenner or you have a few hundred quid to spare, there are some great gifts to choose from. I’ve had a million and one bottle openers – small and practical, novely shapes, you name it. I’ve also lost most of them. But not this one. From Redcandy, it’s a real bargain yet ticks all the boxes for both practicality and style. Pimp the front of your fridge by sticking this little beauty to it and you’ll never be bottle-opener-less again. It looks cool and the magnet is super strong, so even the most enthusiastic bottle opening attempt won’t dislodge it. Just make sure you don’t lose any precious beer in the process. 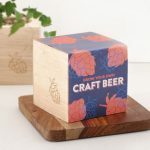 This is a brilliant gift for anyone who’s passionate about their beers, and if they don’t already collect bottle caps they will now. This shadow box can be personalised with your own message and I recently bought it as a gift for someone. Delivery was fast and it was wrapped neatly and packaged in bubble wrap to ensure it arrived in perfect condition. Gift wrapping’s also optional. Admittely I spoiled the nice wrapping because I couldn’t resist opening it to take a peek…the personalised text looked great. And I love that it’s a home-grown product made from the Scottish company Stag Designs. I always buy my beer-loving friends gifts of…no suprises…beer. But what do you buy them when you want to break tradition and purchase something a bit quirkier? A hop plant, that’s what. This one comes from Firebox complete with planter and seeds. And even better, the wooden Ecocube planter is biodegradable so you can pop the whole thing in soil after six months and it becomes fertiliser for your plant. Lovely. Don’t let them forget to save some of their home-brew for you if they make a success of their hop plant! This has been on my wish list for quite some time (I’ll be sure to leave this article on-screen so the boyfriend spots it before Christmas…). I’ve had many a Belgian beer-tasting night and usually resort to using a collection of identical tumblers. But let’s face it, drinking out of the proper glass enhances the experience hugely. 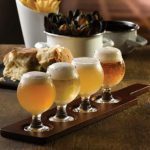 I’ve trawled the web and Belgian tasting glasses don’t seem too easy to find so this one from Drinkstuff.co.uk is an awesome choice for any Belgian beer buffs. 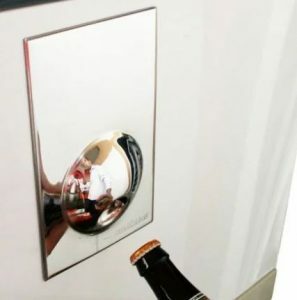 If you’re not on a budget, and you want to truly spoil someone with the ultimate beer gift, this home beer tap is a must-buy. I’ve tried other home taps and they didn’t match the quality of this one. There’s a great selection of 6 litre mini kegs to choose from and it keeps them chilled to 3deg, fresh for 30 days and you get a perfect pour. Be aware: The recipient will love you forever. They will also gain several pounds in weight. You will both start to think it’s normal to want a beer for breakfast. 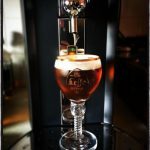 I recommend Beer Hawk for the best deals including bundles with kegs and accessories included. Want more beer lovers’ Christmas gift inspiration? Check out my guide to 2017’s best beer advent calendars. Images used with kind permission of all companies featured.